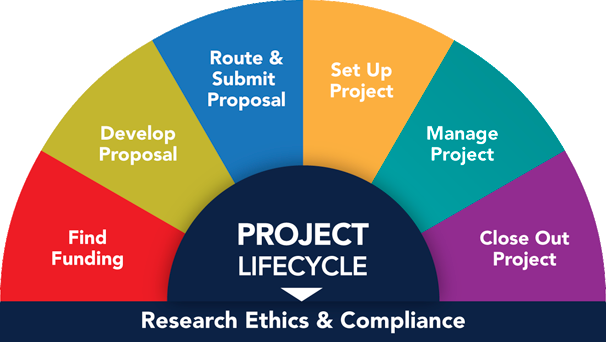 Currently, non-exempt multi-site human subject studies have the option to utilize a single IRB-of-Record (sIRB) to streamline the human subject protections review process and avoid duplicate review by an institutional review board at each site. As federal sponsors (e.g., NIH) implement policies requiring the use of an sIRB for multi-site projects, U-M study teams may work more often with an external IRB (either an accredited commercial, "central," or other academic IRB). When utilizing an external IRB, an Authorization Agreement (a.ka. "reliance" or "collaborative" agreement) must be established for the project between U-M and the external IRB before the sIRB can conduct its review. This is the legal contract negotiated and signed by U-M's HRPP Director that cedes IRB oversight authority to the external IRB. An sIRB only handles the IRB review functions centrally. Related local functions (e.g., ancillary committee review, verification of human subjects protections training fulfillment) remain with the individual participating institutions. The conduct and reporting of the research remain the study team's responsibility (see Study Team Process below). All U-M units can utilize either of these external IRBs as the sIRB for the review of multi-site projects involving human subjects research. Master service agreements establish the terms and conditions for the IRB review, including the fees charged (if any) for the initial review, continuing review, and the review of AEs/ORIOs. When any of the U-M approved external IRBs are utilized as the sIRB, an individual Authorization Agreement may not be needed. For NIH-funded multi-site human subjects research, fees (if any) for the external sIRB review should be budgeted as a direct cost on the proposal/award budget. Before you begin a funding application for a multi-site study involving human subjects research contact the applicable U-M IRB to discuss the sIRB options. To comply with the NIH sIRB policy, when a U-M Principal Investigator (PI) is the awardee of a multi-site grant, U-M plans to cede IRB oversight to an external IRB. Works with the external IRB and the applicable U-M IRB to request an IRB Authorization Agreement. ​ No one on the study team (or at the U-M IRB) has the authority to negotiate or sign the IRB Authorization Agreement. Study teams must receive both the U-M acknowledgement letter and the external IRB approval notice before beginning any research related activities. Single, External, or Central IRB - What's the Difference? A single IRB-of-Record (sIRB) is the institution review board that is designated (with negotiated terms via a formal service/authorization agreement) to act as the sole provider to conduct the initial, continuing, and any subsequent review of the research project to ensure human subjects protection regulations will be/are followed. From U-M's perspective, an external IRB is any non-UM institutional review board. An external IRB can be an accredited commercial, central, other academic, or hospital-based IRB. When a U-M study team is not utilizing a U-M IRB for a non-exempt, multi-site human subjects research project, it will be using an external IRB. A central IRB is an institutional review board that specializes in reviewing a specific type(s) of human subjects research; or is established to review projects funded by a specific agency. For example, the NCI Central IRB reviews projects sponsored by the National Cancer Institute.